Concentrate water and fertilizer to the plant root zone. Conserve water and assist with establishing new plants. The large Greenwell holds 50 litres of water. Fully assembled dimensions: 600mm diameter x 250mm deep. Install to depth of 125mm. Fully assembled dimensions: 600mm diameter x 250mm deep. Install to depth of 125mm. 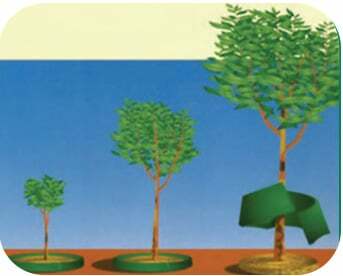 Greenwell Water Savers promote deep watering of plants resulting in healthier trees. Join the 3 sections leaving the final joint open. 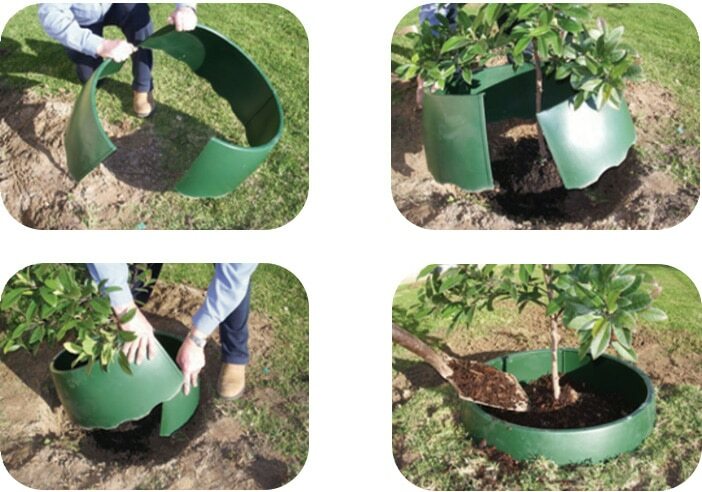 Prepare the planting hole to a diameter of 670mm and required plant depth. After placing the plant wrap Greenwell around plant and secure final zip. Greenwell should be installed to half the depth. Back fill, mulch and fill Greenwell with water.